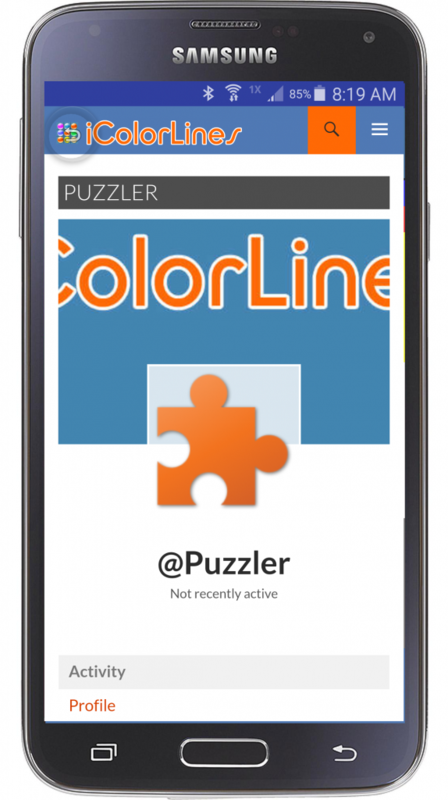 iColorLines Android Puzzle App is available at Google Play Store. Once you download, install and open it, the main game screen will load. 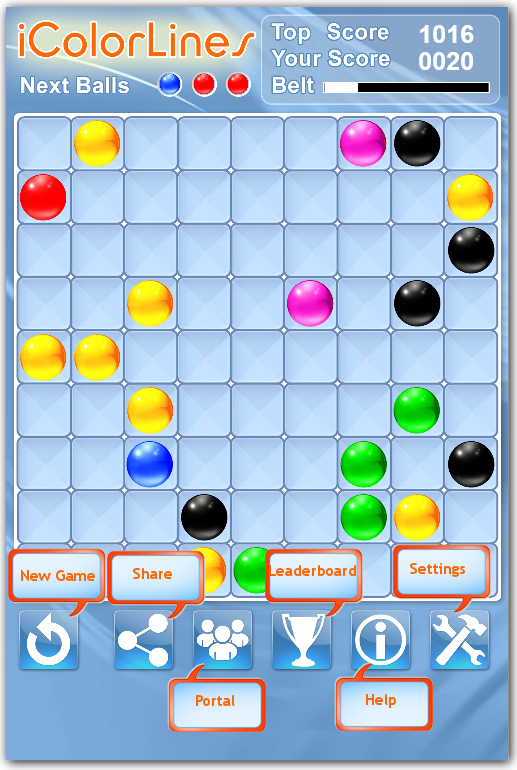 This screen features top display, game board and a bottom selection menu. iColorLines game board is divided into 81 squares. To move a ball, click on it to select and then click on the destination cell to align it with the same color ball or a group of same color balls. 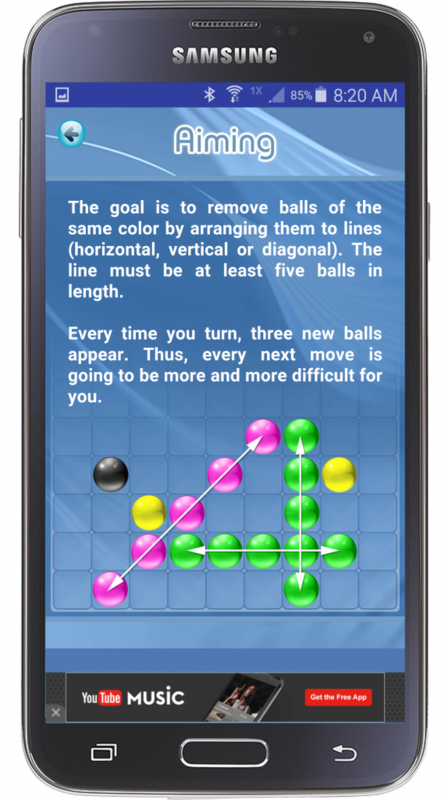 The line (vertical or horizontal or diagonal) must be at least five balls in length. Every turn the computer adds three new balls to the board. You current score, your top score and your belt is displayed on the top. 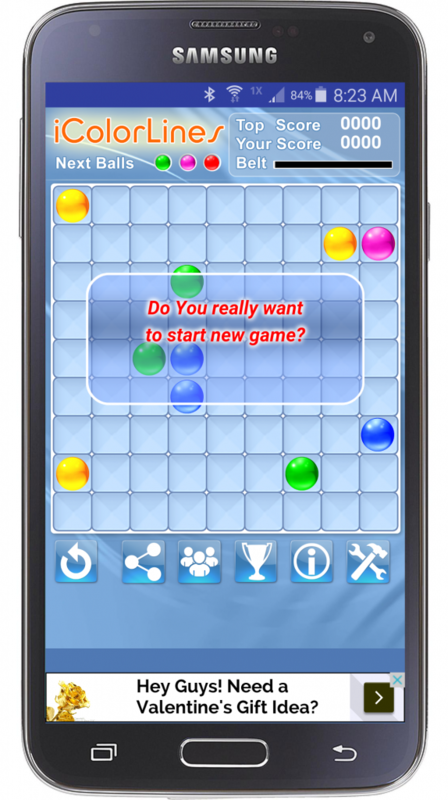 There are six buttons at the bottom of the screen (from left to right): “Start a New Game”, “Share”, “Game Portal”, “Leader Board”, “Help” and “Settings”. You can start a new game at any time, by clicking on “Start a New Game”. 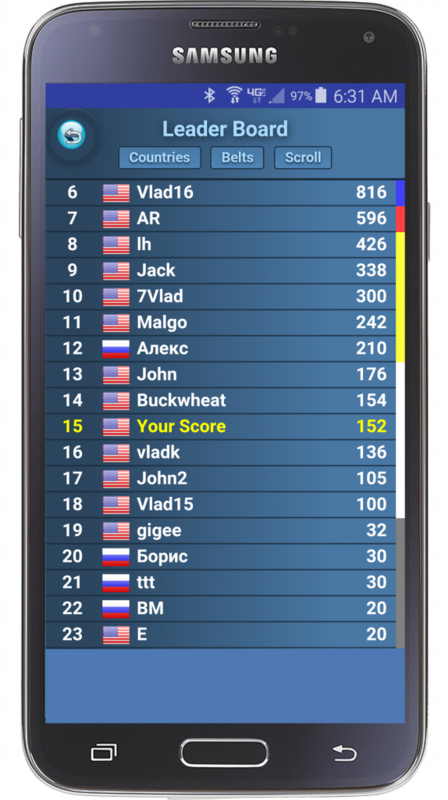 Once game is over, you will be asked to enter your name and forwarded to the Leader Board screen. Clicking on “Game Portal” icon will bring you to your profile page at icolorlines.com. You can get back to the game by clicking on a top left “Back” button. Clicking on “Help” button would load game rules and helpful information. 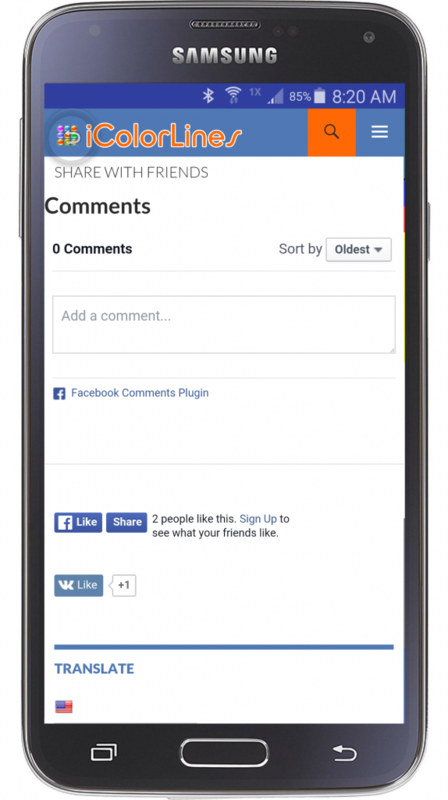 By clicking on “Share” button, you share your thoughts and game results with your friends on Facebook, Twitter, Google Plus and other social media sites. 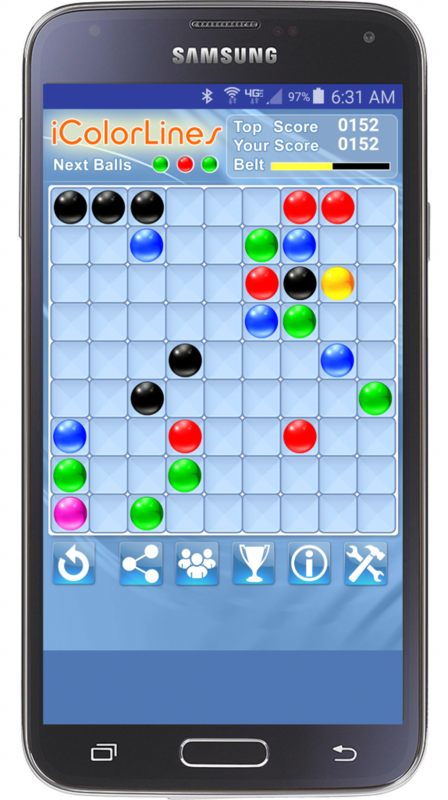 iColorLines is a game for everyone who loves puzzles, nomatter where you are located. 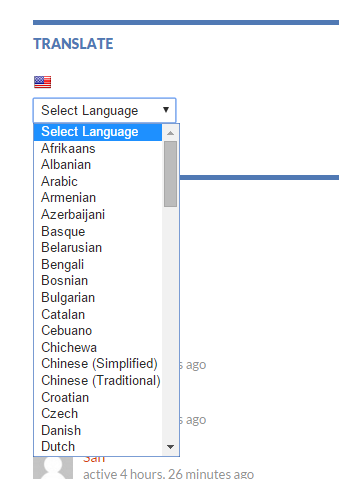 icolorlines.com is translated to all major world languages, just select yours. iColorLines.com website is a community of like-minded people who love puzzles. You can play online, share your experience with friends in your country and around the world. Mastering in the puzzle game requires a combination of knowledge, mathematics, common sense, logic, and science. Your can track your success through your profile activity. Learn how to play, strategy and tricks of the game. Your score would be ranked against other players in your belt category, country and the world. Earn the Black Belt, become a champion in your country or the world champion! The various belt colors in the game symbolize the stages of a growing player’s expertise. A beginner is getting a White Belt. Once the beginner has managed to learn all the basic game moves, he or she is presented with the Yellow Belt. Orange belt is the next level. Once the players are awarded with Green Belts, they will now be required to acquire in-depth expertise. On excelling, the players are presented with Blue Belts. When they successfully move up to be presented with the Purple Belt. Red belt means that you’re one belt away from becoming a Black Belt. The black belt signifies the highest rank of acquiring Color Lines Puzzle Game skills. 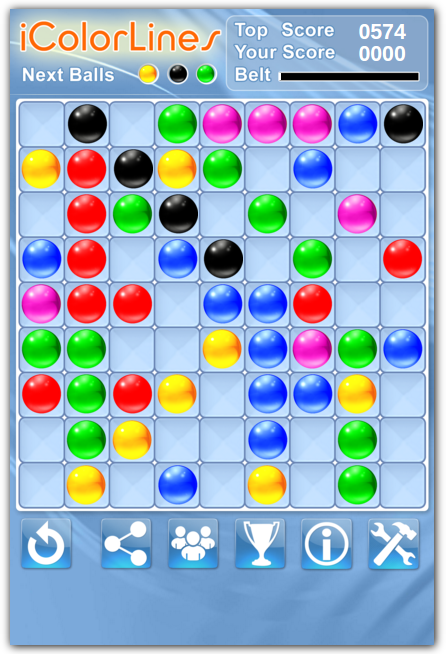 Keep a close look on the bar showing the next three balls to be dropped onto the game board. Try to keep at least a half of the game board cleared. Letting the balls to pile up will almost certainly lead to a loss. To make your game easier always keep more than one line of the same balls ready for clearing. Almost completed means that they are four same balls in length, and only one ball remains until their completion. When moving a ball away to make room for another row, move it into a suitable place. When positioning balls for a line, get the balls farthest from the row in place first (they have the best chance of getting blocked away). Long rows are rewarded with a lot more points than short lines. Try to build diagonal lines, too.